This is a post courtesy of the lovely Lia in Brussels who first introduced me, via a comment on this Blog, to the incredible work of Austrian wizard, Klemens Torggler. There are a rarified group of objects like the London Underground map that have totally fulfilled their design potential – to meddle any further would be to over-engineer or muddy. And so it could be thought with the humble door – opening or sliding are the only two options. That is until now. 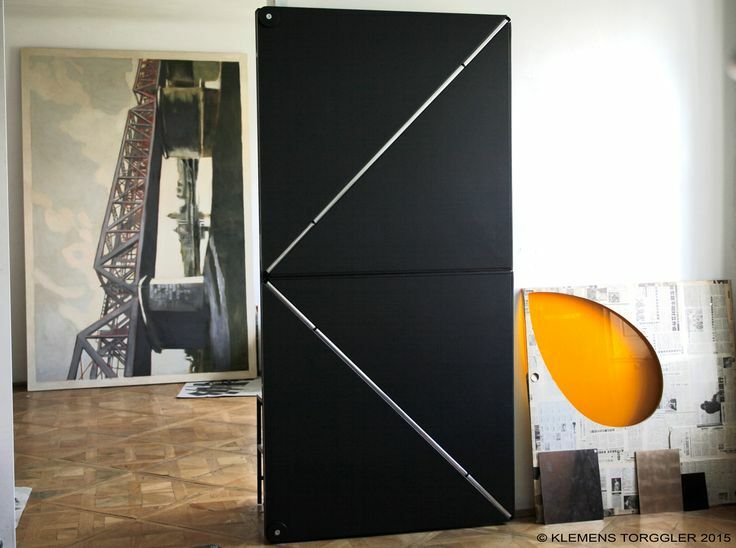 Torggler’s design, based on rotating squares, makes it possible to move an object sideways without the use of tracks. Even if the object weighs 200 kg. 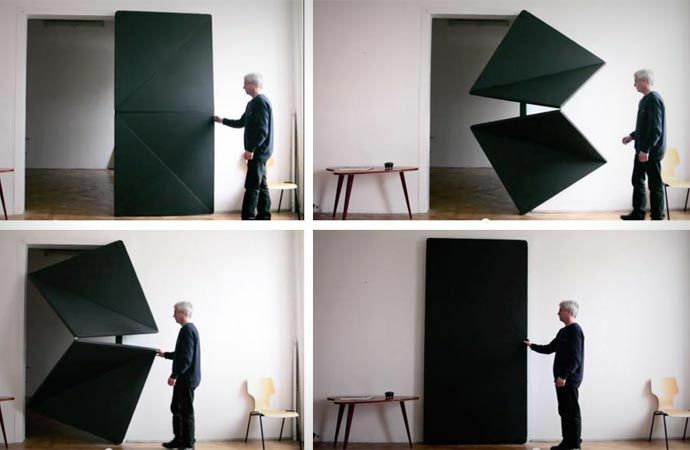 There’s also the Evolution door,a door based on triangles that moves at the touch of a finger tip like a piece of living origami. What I would give for my own flock of steel birds – The perfect marriage of function and Art.